If there’s one thing that can throw a wrench into President Trump’s re-election campaign, it’s the repugnant and unjust treatment of Julian Assange. This is where Trump had better watch out! That Julian Assange has already been arrested for extradition to the U.S. does not bode well for a successful 2020 election outcome. It’s a historical fact that the highly radioactive data dumps by WikiLeaks during the 2016 campaign season were directly responsible for the stunning election of Donald Trump. Had Assange himself not taken such daring initiative; it’s unlikely Trump would be in the Oval Office today. 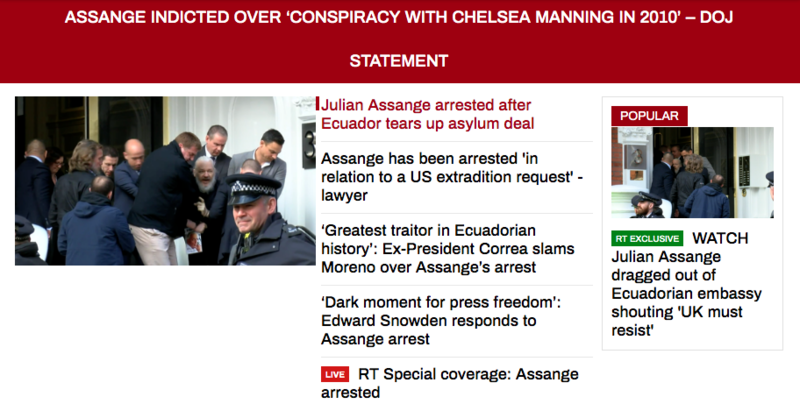 Now the whole world watches the Trump Administration despicably prosecute Assange, after 2 plus years of persecuting him by keeping him locked up in a veritable prison. Trump had better be very careful about how he approaches the upcoming travesty of justice regarding Assange. Based on his previous inaction toward other key people who have assisted him considerably, it’s quite likely Trump will abandon Assange after he has been run through the gauntlet of the U.S. Criminal Injustice System. Sad … very sad indeed! And the Patriot Movement will not forget this betrayal-in-progress.